Joe Herzenberg was born June 25, 1941, to Morris & Marjorie Herzenberg. His father owned the town pharmacy in Franklin, N.J., where Joe grew up. After he graduated from Yale University in 1964, Joe went to Mississippi to register voters for Freedom Summer. He joined the faculty of historically black Tougaloo College, where he was appointed chair of the history department. Joe arrived in Chapel Hill in 1969 to enroll as a graduate student in history at the University of North Carolina, and, along with his partner Lightning Brown, soon immersed himself in local, state, and national politics. Although Joe’s first campaign for the Chapel Hill Town Council in 1979 was unsuccessful, he was appointed to the Council to fill a vacant seat and served until 1981. In 1987, he was elected to the Council, becoming the former Confederacy's first openly gay elected official. 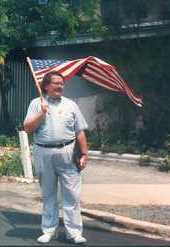 Joe died surrounded by friends on October 28, 2007. He was 66 years old. Joe was a blogger before the term was invented. Audio on the below clip captures him typing away one night, making the world a better place one word at a time. Orange Politics - We'll Miss You, Joe! 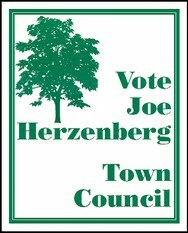 Vote Joe Herzenberg yard sign, 1991, courtesy of Mark Donahue. If you would like to contribute photos or memories of Joe, share any of his unique postcards, or suggest a link to something for inclusion on this site, please e-mail us: friendsofjoe -at- yahoo.com. 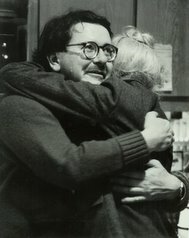 "Mr. Herzenberg...loved gathering with his friends, listening to Mozart and operas and talking about politics." CHAPEL HILL -- As the debate continues about establishing a plan to recall members of the Town Council, some students at the University of North Carolina argued Tuesday that they would be left out in the cold if such actions were ever taken during the summer. Several students showed up at a public hearing Tuesday to request a provision that would ban recall elections in the summer -- when thousands of students and faculty members are out of town. "If elections are not prohibited during the summer months, the UNC community and students will be discriminated against," said Erik Ose, a UNC-Chapel Hill senior and part-time election volunteer. "It's a question of access and fairness. After all, Chapel Hill is a college town and the town has the responsibility to take students into consideration." Another student, Matt Stiegler, said, "It's increasingly important that the student voice be heard." The council took no action on the recall plan, which would allow 8 percent of registered voters to petition for a special election to throw elected leaders out of office. It requires a change in the town charter, which would have to be approved by the General Assembly. The recall plan has been gaining momentum since last summer, when council member Joe Herzenberg pleaded guilty to failing to pay intangibles taxes. He refused to step down after his colleagues unanimously passed a resolution formally censuring him and several sought his resignation. Many towns and cities in North Carolina have recall provisions in their charters, but a ban on such elections during certain parts of the year would be unique to Chapel Hill, said Mayor Ken Broun. "We'd like that," said Wil Ray, chief of special operations for UNC student government. "The student voice affects most of the elections." Ray said 1992 voting statistics showed 17 percent of registered voters in Chapel Hill were students. Ose said student voter registration has risen dramatically -- up by almost 6,000 in the last three years. Mark Chilton, who holds the distinction of being a UNC-CH student and a member of the council, said he hoped his colleagues would pay attention to the students and vote for a ban on recall between May 15 and Aug. 15. Chilton originally raised the issue. Chilton pointed out that most students are forced to leave Chapel Hill in the summer to find jobs elsewhere to help pay their tuition and expenses. But some council members said holding up recall elections could present problems. "I don't think you want to drag it out," said Julie Andresen. "Having dealt with the recent problems, I think it interferes with town business to have them hanging over your head." "I'd love to see if we would all stack our postcards up how big the stack would be." - Jonathan Courtland, a friend of Joe Herzenberg, at a memorial service celebrating the former town councilman's life, on Herzenberg's habit of sending postcards from his world travels to his friends. 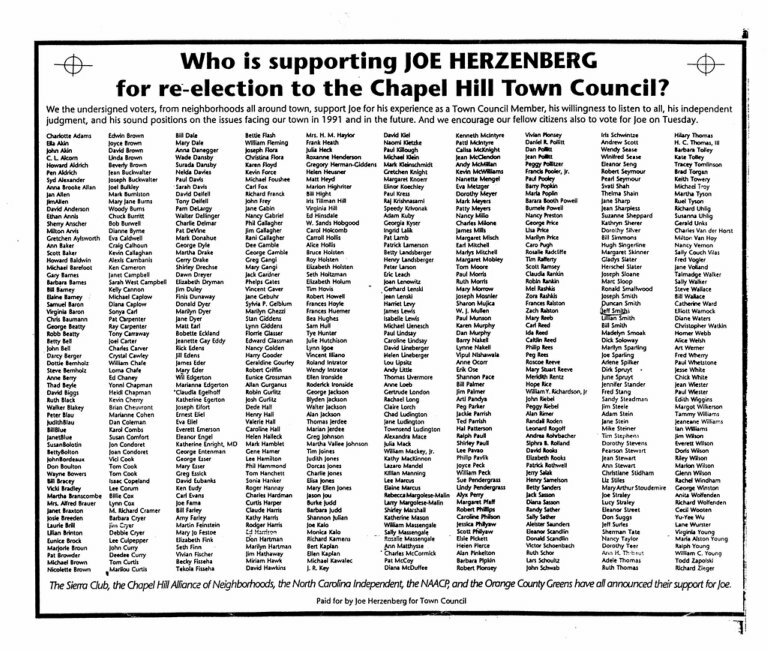 Endorsement ad from Joe's 1991 re-election campaign. Click for larger image.